Been looking for a free printable family budget plan to use in managing your household finances? I hear you, mom! 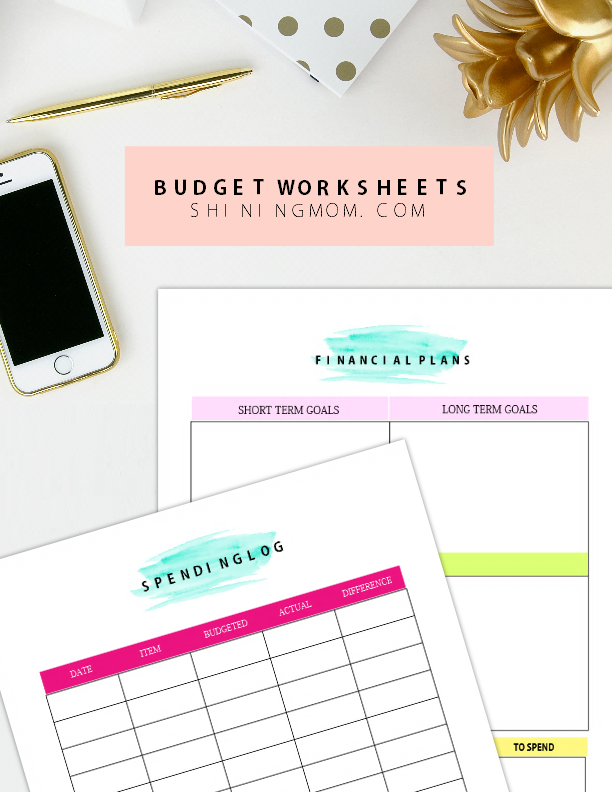 Today on the blog, I created budgeting worksheets that you can work on. Really, I can’t hide my excitement to hand to you this nifty set of printable pages. They’re designed to help you organize your family’s finances on a monthly basis. I think they will come handy in sorting out your family budget! Before we get going, I have a little sharing to make. I don’t know if you can relate with me but before I got married, I didn’t really bother budgeting my finances. Right after finishing college and landing on a decent job, I felt so powerful! Yep! Powerful because I was already earning,I can finally buy what I wanted as I get to spend my own money. At that time, money for me is something to earn and to spend. My spending habits would come in a monthly cycle– I get to spend more right after receiving my paycheck and then I tend to stretch the rest till the next paycheck. I didn’t bother much about money because it replenishes every salary day anyway. However, towards the end of ever month, I consistently wondered where my money went. Especially when my salary would almost run out to reach the next paycheck. Yes, I was a crazy like that! Ahhh, how God touches mothers and how motherhood changes one! I had to do a total makeover when it comes to my spending habits . I finally learned how to budget what I have. I also tracked down the “leaks” in my finances because otherwise, we won’t have enough money to raise a family. Little by little, I’ve also learned more ways to generate more income! Although budgeting is more than the printable budget worksheets that you have— they’re definitely a great tool to help you start organizing your finances. 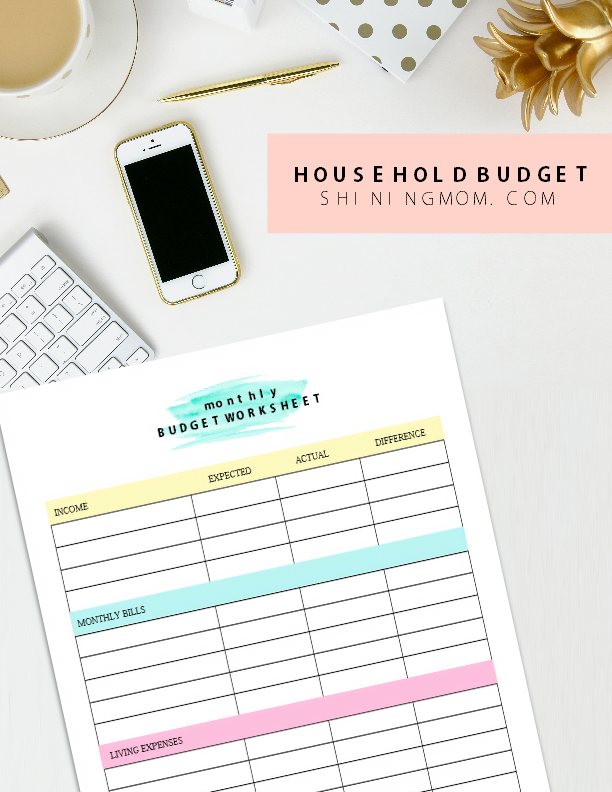 A free printable family budget plan like what I am sharing with you today, helped me manage my finances– and I think it will help you do the same! 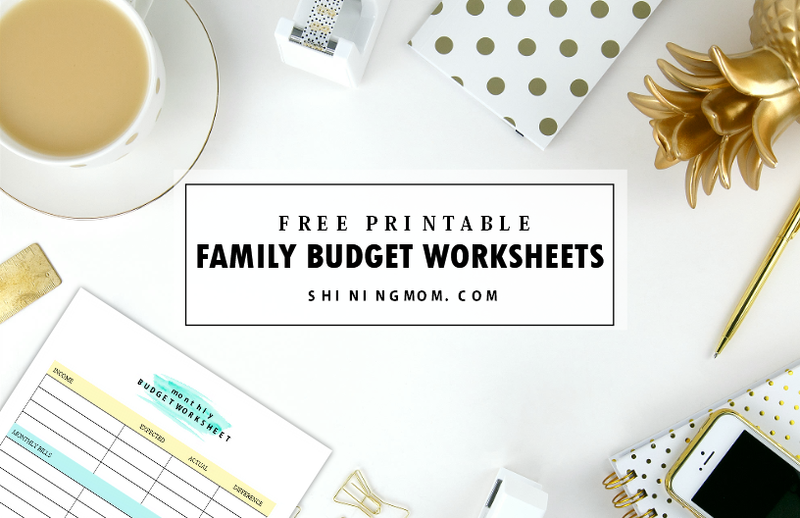 There are three free printable family budget plan worksheets that you can get later. The first sheet will let you track your spending habits by letting you list your spending in one month’s time. The process is simple, you will just have to write all your expenses, the amount budgeted and the actual amount spent. This worksheet will help you look into your “financial leaks” so you can work into plugging it up. The second printable is where you can plan our your monthly budget. The page covers budgeting your bills and other expenses on a monthly basis. The last family budget plan worksheet is where you write your “financial plans” which include your short-term and long-term financial goals. This page allows you to reach for your target by letting you write down your action plans. Really, I can’t tell you enough how a family budget plan worksheet helped me look into my finances. I hope the pages that I have created for you will do wonders, too! If you think you can use these worksheets, simply hop OVER HERE to get your printable copy. The pages come clean and pretty because I want you to enjoy writing down your family budget plan! 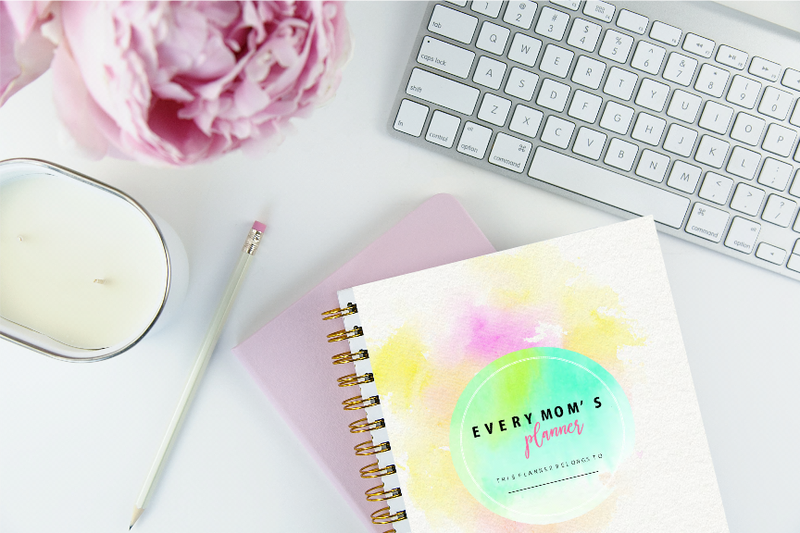 If you’re happy with the free printable family budget plan that I’ve just shared, I think you’ll be happier to see my recently launched planner exclusively designed for busy moms– the “Every Mom’s Planner“. It has a section dedicated for managing your finances! This complete household binder is actually boasting over 70 pages of printable organizers to help you blissfully manage your family, home and finances! Know more about this ultimate planner HERE. It will help you manage a happy, organized and abundant home! « The Ultimate Home Binder is Here!! !